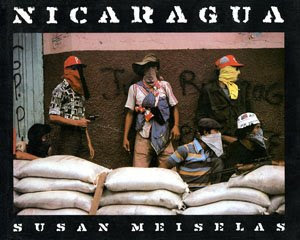 Originally published in 1981, the 2008 edition of Nicaragua: June 1978–July 1979 by Susan Meiselas comes with a DVD which documents the photographer’s recent return to the country. Also coming soon from the Aperture Foundation, Hank Wills Thomas‘ first monograph Pitch Blackness will be published by Aperture in October 2008. Aperture is offering a limited edition print of Hank Willis Thomas’ “Black Power” photograph. Hank was also recently honored as the first recipient of the Aperture West Book Prize.